When you run a business, you know the importance of keeping it clean. Clean offices, retail spaces, schools, hotels, and more make a positive impact on your customers and help you comply with industry regulations. It’s also important that the exterior of your business be clean and presentable as well, as this is the first part of your property visitors see. However, you may not have given much thought to your car park. That’s right – whether you have an open lot, a multi-level construction, or an underground garage, it’s your responsibility to make sure it stays clean. Keeping this area clean has multiple advantages. You may not have the time to sweep your carpark and pick up rubbish consistently, and that’s where Jani-King comes in. When you choose to add carpark cleaning to your suite of Jani-King services, you’ll enjoy all the following benefits and more. A clean, neat carpark makes an excellent first impression on everyone who visits your establishment. Just like neat offices, a clean carpark can make a huge difference in how potential customers view your business. It attracts people rather than turning them away and presents you as professional, organised, and detail-oriented. 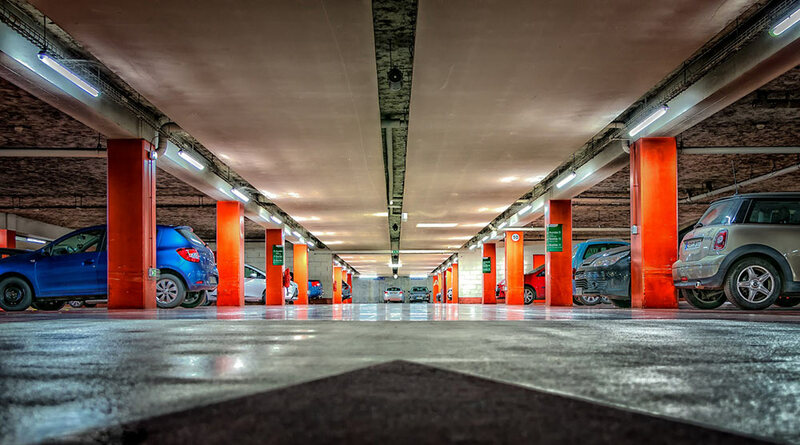 A clean carpark also helps lift morale and inspires your employees to help maintain a clean area and do their best work. A spotless carpark is safer than a neglected one. When you hire professional car park cleaning services, the regular sweeping and maintenance can make your entire facility safer. This benefit is especially important for older people or people with disabilities, who face a higher risk of accidents when there’s debris lying around. When your carpark is kept clean, you avoid the risk of mishaps. You’ll also be removing unhealthy substances such as the oils and heavy metals that can lead to pollution and potential health issues, helping protect both the environment and the people who use your carpark. If you have your carpark cleaned regularly, its surface will last longer than one that is poorly maintained. Professional carpark cleaners know how to remove the gravel, sand, and dust that can accumulate. These materials can cause more rapid wear and tear of your parking surface. When this surface becomes worn, it is more vulnerable to water infiltration, which can cause it to break down faster, whether the surface is asphalt or concrete. You’ll also save money on long-term maintenance costs. Why not make carpark cleaning part of your suite of services with Jani-King? We make it easier than ever to obtain the commercial cleaning services you need with one point of contact for multiple services. If you’re already a Jani-King customer, contact us to let us know that you’d like to add carpark cleaning, and we’ll be happy to discuss your needs. Don’t worry – you’ll still have only one invoice, one port of call, and the same excellent service as always.